The Zoology Division conducts scientific researches on Philippine fauna; collects, preserves, identifies and exhibits to the public systematically all types of animals found in the Philippines; prepares manuscripts and scientific papers for publication. It maintains the national reference collection of Philippine fauna. The biodiversity survey in Palawan is a project undertaken thru the Biodiversity Information Center-Animals Unit. This involves particularly in the study of birds which was conducted in 1995 and 1996. Collection of specimens were completed in the Northern Palawan and Cuyo Group that yielded 87 ornithological specimens representing 30 species belonging to 28 genera and 19 families. 1. Goodman, Steven M., David E. Willard and Pedro C. Gonzales. 1995 "The birds of Sibuyan Island, Romblon Province, Philippines with Particular Reference to Elevational Distribution and Biogeographic Affinities". Fieldiana Zoology New Series. No. 1471. Field Museum of Natural History. 2. Kennedy, Robert S., Pedro C. Gonzales and Hector C. Miranda Jr. 1997. New Aethopyga Sunbirds (Aves: Nectarinidae) from the island of Mindanao, Philippines. The Auk-A Quarterly Journal of Ornithology, Vol. 114, No. 1. The biodiversity survey in Palawan is a projest undertaken thru the Biodiversity Information Center-Animals Unit. This involves particularly in the study of mammals which was conducted in 1995 and 1996. Collection of specimens were completed in the Northern Palawan and Cuyo Group that yielded about 448 specimens representing 18 species belonging to 16 genera and 5 families. A potential new species of squirrel, Sundasciurus, was collected on several islands in Northern Palawan. 1. Caberoy, Rodolfo A. 1995. "The Vertebrate Profile of Lake Tikob, Tiaong, Quezon. 2. Gonzales, Pedro C. and Robert S. Kennedy. 1996. "A New Species of Crateromys (Rodentia: :Murindae) from Panany, Philippines". Journal of Mammalogy. The areas covered during the survey and collection of insect fauna in Bicol Region were the following: In Catanduanes Island, the remnants of the forests of Gogmoto in eastern side yielded a considerable number of interesting species, whereas in the northern side of the island, the vicinities of Pandan municipality were investigated and probably new record/species of insect fauna are found. These areas represent 40% of the targeted areas. In Bulusan, near the lake and the eastern slope of Bulusan volcano, some interesting lepidopteran and coleopteran fauna were found. Good insect collections were also recorded from Irosin and Sta. Magdalena, Sorsogon. Samarita, Venancio U. (In Press). The Mosquito Fauna of Oriental Mindoro, National Museum Papers, Manila, Philippines. This project started last October 1993 up to the present and the areas covered include 10 localities in the provinces of Sorsogon and Albay representing only 50% of the targeted areas. A total Number of 1,446 specimens belonging to 34 genera and 12 families. 1. Brown, Rafe M., John W. Ferner and Rogelio V. Sison. 1995. Redicovery and rediscription of Sphenomorphous beyeri Taylor (Reptilla: Lacertilia: Scincidae) from the Zambales Mountains of Luzon , Philippines. Proceedings of the Biological Society of Washington, 108 (1):6:17. 2. Brown, Rafe M., J. W. Fernenr, R. V. Sison and Pedro C. Gonzales. 1995. Amphibians and Reptiles of the Zambales Mountains of Luzon Islands, Republic of the Philippines. Herpetological Natural History 14 (1) 1:22. 3. Ferner, John W. and R. V. Sison. 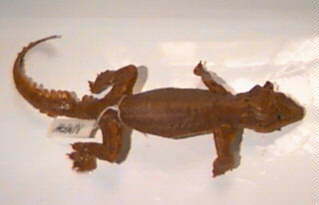 Herpetofauna of Panay Island (in Preparation). 4. Morioka, J. W. and R. V. Sison, 1987. Birds of Highlandsof Mt. Halcon, Mindoro, Philippines. Japanese Journal of Ornithology, 35:109-124. 5. Ross, Charles A., Angel C. Alcala and R. V. Sison, 1987. Distribution Of Zaocys luzonensis (Serpentes:Colubridae) in the Visayan Islands, Philippines. Siliman Journal, Vol. 34, No. 1-4, pp. 29-31. 6. Rueda, Luis A., John R. Donboski and R. V. Sison, 1987. Morphological Variation in Otopteropus catilagonodus Kock, 1969 (Mammalia:Chiropteria:Pteropodidae) from Luzon, Philippines. Proc. Biol. Soc. Wash. 107 (1): 6-17. 7. Sison, Rogelio V. 1981. Simplified Taxidermy. Zoological Papers, No. 10, National Museum, Manila, Philippines, pp. 1-6. 8. Sison, Rogelio V. 1983. Birds of Singnapan. Tau't Batu Studies. Monograph No. 7. National Museum and PANAMIN, pp. 51-72. 9. Sison, R.V., P.C. Gonzales and W.J. Ferner, 1995. New Island records of Reptiles and Amphibians. Herpetological review, 26 (1). This project started last March 1992 to the present. The objective of the project is to collect, preserve and systematically arrange the Bicol marine sponges. So far, 80% of the targeted areas had been visited which included the coastal places of Sordsogon, Albay and Camarines Sur. A total of 580 voucher specimen were collected and about 50% were identified to species level and 90% at the family level. 1. Caberoy, R. A. 1978. The Sponges of Macalelon - Pitogo, Quezon Province (Tayabas Bay), Zoological Papers No. 2, Manila, Philippines. 2. Caberoy, R. A. and Tahil, J., 1980. Primer on Sponges. National Museum/NSDB Project 710-1979, Zoological Papers No. 12, Manila, Philippines. 3. Caberoy, R. A. 1981. Survey of Class Demospongiae in Tayabas Bay, Zoological Papers No. 7. 4. Caberoy, R. A. 1986. 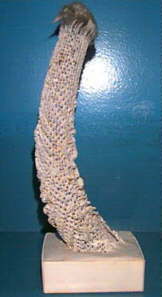 Porifera, Marine. Philippine Bioligical Sciences Encyclopedia, NRCP Coordinated Publication. 5. Caberoy, R. A. 1991. Sponge Composition and Dominance in the Coral Reefs of Tawi-tawi and Its Vicinities (South Philippines) PCMARRD Report. 6. Caberoy, R. A. and Saguil, N. A. 1991. The Benthic Fauna of Tawi-tawi: Baseline Study, PCMARRD Report. 7. Caberoy, R. A. 1991. Four New Records of Shallow - Water Demospongiae (Porifera) from the Ilocos Region, National Museum Papers. Vol. 2 No. 2. 8. Caberoy, R. A. 1995. The Vertebrate Profile of Lake Tikob, Tiaong, Quezon. National Museum Papers, Vol. 5, No. 1; National Museum of the Philippines, Manila. 9. Caberoy, R.A. 1997. A Study of Marine Sponge Fauna in the Ilocos Region, Unpublished Thesis, Graduate School, University of Sto. Tomas, Espana, Manila. The inventory, survey and collection of corals were made in the coastal barangays/municipalities of different provinces of La Union, Ilocos Sur and Ilocos Norte. 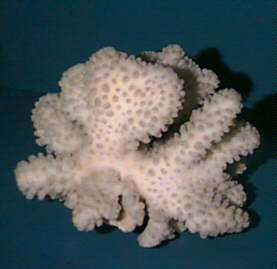 Collection of hard coral specimens were done in the shallow portion of the reefs. The identified hard corals belonged to different families, namely: Pocilloporidae, Arcoporidae, Agriciidae, Fungiidae, Poritidae, Faviidae, Oculinidae, Mercilinidae, Mussidae, Pectinidae, Caryophylliidae, Tubiporidae, and Milleporidae. Acroporidae and Poritidae were dominant families found. A total number of 1,500 specimens were collected compromising 30 species, 20 geners and 14 families. This project started last March 1992 and continued until the present. It aimed to collect, preserve and identify the different polychaete species of the intertidal and subtidal areas of the Bicol Region. About 65% of the targeted areas had been investigated which include the coastal areas of Sorsogon, Albay and partly Camarines Sur. A total number of 2,000 specimens were obtained presenting 40 species belonging to 27 genera and 19 families. About 90% of the collected specimens were identified to family level and 50% were identified as species level. At this time (1998), there are about 180 polychaete species inventoried representing the whole reference collection of the Polychaetology Section belonging to 101 genera and 35 families. Four species collected in Albay were found to be new to the collection of the National Museum, namely: Psammolyce Figiensis McIntosh, 1885, Lysidice Ninetta Audouin & M. Edwards, 1833, Hydroides PriscaPillai,1971, and Spirobranchus Maldivensis Pixell, 1913. One unidentified species of Hydroides, which was found in a dead coral at Maslog, Legaspi, Albay, is suspected to be new and which will require further collection and study. 1. Palpal-latoc, V. S. 1981 and N. C. de Celis. 1977. New Record of Polychaete Worm (Polychaeta, Eunicidae) from Hundred Islands in Pangasinan, Sylvatrop, Philippines. Forest Research Institute Journal, 2(1):67-71. 2. Palpal-latoc, V. S. 1981. Inventory of Polychaetous Annelids of Tayabas Bay. National Museum Zoological Paper (9): 1-55. 3. Palpal-latoc, V. S. and P. C. Gonzales. 1981. 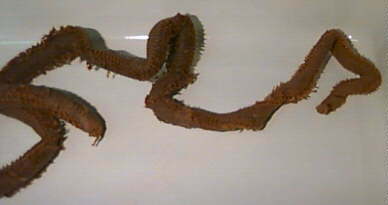 New Record of Polychaete Worms (Polychaeta, Chaetopteridae) from Natunauan Cove, Albay. National Museum of the Philippines Zoological Papera (11): 1-6. 4. Palpal-latoc, V. S. 1983. Annelida. In C. C. Velasquez (ed. ), Philippine Science Encyclopedia (Biological Science), pp. 48-55. Natural Research Council of the Philippines. 5. Natividad, F. and V.S. Palpal-latoc. 1986. Guide to Philippine Flora and Fauna. Philippine Annelids, Natural Resources and Management Center, MNR and University of the Philippines, Vol. VI, pp. 356. 6. Palpal-latoc, V. S. 1990. New Records of Polychaetous Annelids from Ilocos Sur. National Museum Papers, Vol. 1 No. 1 pp. 45-69,11 figs. 7. Palpal-latoc, V. S. 1991. Technique in the collection, Preservation and Identification of the Polychaete Worm. Zoology Division, National Museum. (IN mimeo.). 8. Palpal-latoc, V. S. 1991. Handlist of Polychaetous Annelids of the National Museum, Zoology Division. (In mimeo.). 9. Palpal-latoc, V. S. 1994. Some Scale-Bearing Polychaetes of Ilocos Sur. National Museum Papers, Vol. 1, No.2, pp. 67-77. 10. Villoso, E.P. and V.S. Palpal-latoc. 1996. Soft Bottom Associated Animal Community Study in San Pedro Bay. Resource abd Ecological Assessment of San Pedro Bay, Philippines. Vol. 4, 45 pp. Part I. IMFO Technical Report No. 16, College of Fisheries, university of the Philippines in the Visayas, Miag-ao, Iloilo. 11. Palpal-latoc, V.S. (In Press.) The Polychaetous Annelids of Ilocos Sur. , National Museum Papers . 12. Palpal-latoc, V.S. (In Press.) The Polychaete Fauna of Panay Island., National Museum Papers. The areas covered during the survey and collection of the molluscan fauna in Bicol were the following: 100% completed in Sorsogon, 50% in Catanduannes and 40% in Masbate. About 50% of the target areas is still left for investigation. Approximately 17,252 molluscan specimens including land and freshwater shells were acquired since the start of the project in 1993 to present comprising 129 species belonging to 110 genera and 79 families. There are six species of gastropods and three species of pelecypods considered as new records, namely: turcisa concinna A. Adams, 1863, conus (Darioconus) auricomus Hovass, in Bruguiere, 1792, Conus (Darioconus) magnificus Reeve, Barbatia (Barbatia) foliata forma trapezina Lamarck 1819, Septifer (Mytilisepta) 1843, keenae Nomura, 1936, Anomia chinensis Philippi, 1849, Pinctada nigra (Leach, 1814), Ostraea denselamellosa Lischke, 1869, and Spondylus multimuricatus Reeve, 1856. Cabrera , Jaime J. 1984. The Cone Shells of Tayabas Bay. Zoological Papers # 13. National Museum, Manila, Philippines. 117 pages, 60 plates. This project started last September 1993 and continued to present. The project aims to collect, preserve and identify the different species of decapod and stomatopod crustaceans in Bicol. About 50% of the targeted areas have been visited which covered Jose Panganiban and Paracale in Camarines Norte; Palacao and Ragay in Camarines Sur; Prieto Diaz, Sorsogon; Rapu-Rapu Is.,Albay and Ticao, Masbate. A total number of 5,050 carcinological specimens were collected representing 215 species belonging to 118 genera and 20 families. A stomatopod species, Lysiosquilla maculata, (Fabricius, 1793), is a new record for the Bicol Region and occurs moderately in the seagrass intertidal area in Prieto Diaz, Sorsogon. 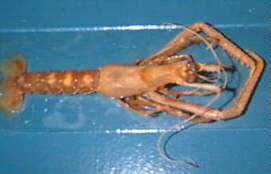 Three species of boxer shrimps, Stenopus pyrsonotus Goy 1984, Stenopus tenuirostris (Olivier, 1811) and Stenopus cyanoscelis Goy 1984 are new records for the Philippines, collected in Rapu-Rapu, Albay (Pacific Ocean side). One species of Actae sp. 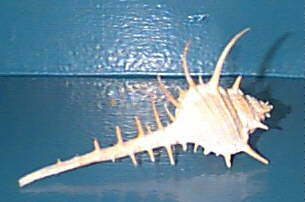 found in Ticao Is., Masbate is suspected to be a new species. 1. Manuel, M. R. and Takeda, M. 1990. Rediscovery of Lophopilumnus dilatipes (Adams et White, 1848), a pilumnid crab from the Philippines. Bulletin of Biogeographical Society of Japan, Vol. 45:1-22. 2. Manuel, M. R., Gonzales, P. C. and Basmayor, L. 1991. Crustacean fauna of Natunauan Cove, Tabaco, Albay. National Museum Papers, Vol.2:(1). 4. Manuel, M. R. 1997. Checklist of Philippine Freshwater Crustaceans. Aquatic Biology Research and Development in the Philippines. Proceedings of the First National Symposium-Workshop on Aquatic Biology R & D, November 28-29, 1995 (Guerrero III, R. D., Tisico-Calpe, A. and Darvin, L. C., eds.) Philippine Council for Aquatic and Marine Research Resources and Development (PCAMRRD), Department of Science and Technology, National Research Council of the Philippines, International Center for Living Aquatic Resources Management. Book Series No. 20/1997, pp. 57 - 68. 6. Manuel, M. R. New record species of decapod crustaceans from Aklan, Philippines (in press). The survey and collection of echinoderm fauna in the Bicol Region started in 1993 and continued up to the present. . The following coastal towns were visited: Garchitorena and Caramoan in Camarines Norte;Bulan, Magallanes, Pilar, Gubat, Prieto Diaz, Matnog and Donsol in Sorsogon; Ticao Is., and Burias Is., in Masbate; and Tiwi, Albay. About 35% of the targeted areas have been left to complete the survey in Bicol. A total number of 3,000 echinoderms were collected representing 60 species belonging to 28 genera and 20 families. 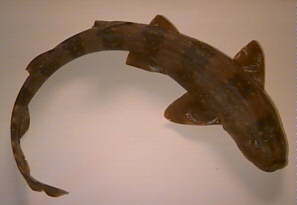 One holothuroid species, Holothuria axiologa H. L. 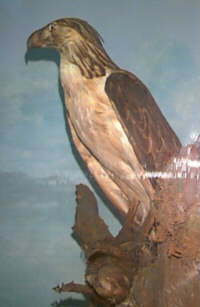 Clark., was collected in Ticao Island, Masbate and found to be a new record in the Philippines. 1. de Celis, A. K. 1981. Survey of Class Ophiuroidea in Tayabas Bay. Zoological Papers No. 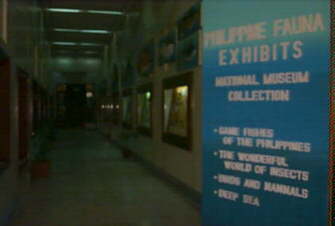 5, National Museum, Manila, Philippnes, 24 pp. 2. de Celis, A. K. 1981. 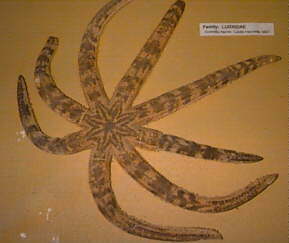 Echinoderm Fauna in the Philippine Archipelago, National Museum, Manila, Philippines, 29 pp. This project started last July 1994 to the present. The following areas were studied representing 50% of the targeted places to be visited, namely: Bulusan, Matnog, Donsol, Pio Duran, and Bacon in Sorsogon; Manito, Bacacay, and Tiwi in Albay; and Ticao Is., Masbate. One species, Lepidocybium flvovobrunneum (Smith), belonging to Family Gempylidae was found to be new to the collection of the National Museum. 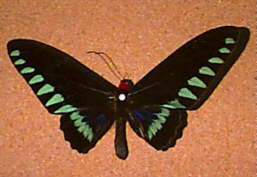 This species was found in Donsol, Sorsogon in January, 1995. Caberoy, Rodolfo A. and Antonio M. Tolentino. A Yen for the Dojo - A Japanese Fish. National Museum Magazine (In Press). 1. Dioramas of different ecological niches situated along the corridors of the second floor, on the northern and eastern sides of the main building in Manila. 2. A diorama depicting a life-sized transect from the beach to the deeper reaches of the sea is on display at the second floor of building No. 2 of Fort Pilar in Zamboanga City. Included here also are the other static displays on various marine life of the seas around the Zamboanga peninsula. 3. Four dioramas consisting of a coral reef ecosystem, mangrove forest and mountain forest ecosystem are on display at Bolinao Museum, Pangasinan. 4. 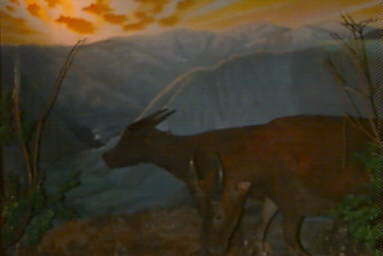 Under construction is a "walk-in" diorama of a mountain-forest ecosytem on the first floor of bulding No. 2 of Fort Pilar in Zamboanga City.